This could be the beginning of a theme…. The first few days of April really weren’t that wet. Yesterday and today seemed a bit different. The flowers and trees seem pretty happy with it. Your wonderful photo captures the essence and feeling of Spring! 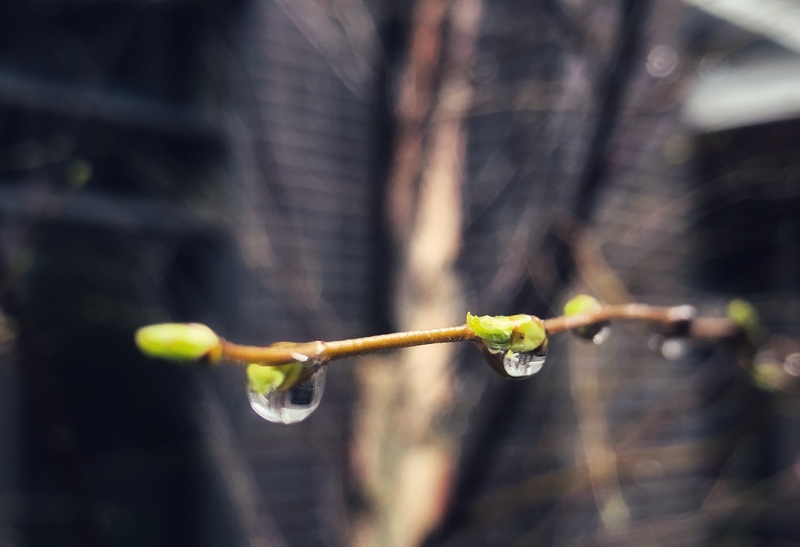 Love the close up of the water droplets and the new buds. Can almost visualize the flow of energy within saved up from last Fall to feed the tiny, budding leaves. Leaves that will soon by making life giving sap from sunlight. Yes, Spring is a fine theme. It’s interesting how the water droplets hang on the leave buds. It’s as if the water knows where it’s needed.